The Book of Mormon: Another Testament of Jesus Christ has the nourishing power to heal starving spirits of the world. I hold in my hand a first-edition copy of the Book of Mormon. It was printed in 1830 on a hand-operated letter press at the E. B. Grandin Company in the village of Palmyra, New York. In June of 1829, Joseph Smith, then 23 years old, called on 23-year-old Mr. Grandin in company with Martin Harris, a local farmer. Mr. Grandin had three months earlier advertised his intent to publish books. Joseph Smith provided pages of a handwritten manuscript. If the content of the book did not doom it to remain obscure, the account of where it came from certainly would. Imagine an angel directing a teenage boy to the woods where he found buried a stone vault and a set of golden plates. Before the book was off the press, pages of it were stolen and printed in the local newspaper, accompanied by ridicule. Opposition was destined to excite mobs to kill the Prophet Joseph Smith and drive those who believed him into the wilderness. From that very unlikely beginning to this day, 108,936,922 copies of the Book of Mormon: Another Testament of Jesus Christ have been printed. It has been published in 62 languages, with selections of it in another 37 languages, and 22 more translations are in process. Now 60,000 full-time missionaries in 162 countries pay their own way to devote two years of their lives to testify that the Book of Mormon is true. 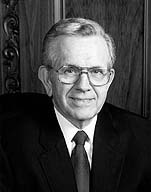 Herbert Schreiter tested the promise and joined The Church of Jesus Christ of Latter-day Saints. In 1946, released as a prisoner of war, Herbert returned to his wife and three little daughters in Leipzig, Germany. Soon thereafter, he went as a missionary to Bernburg, Germany. Alone, without a companion, he sat cold and hungry in a room, wondering how he should begin. He thought of what he had to offer the war-devastated people. He printed by hand a placard which read, “Will there be a further life after death?” and posted it on a wall. About that same time, a family from a small village in Poland came to Bernburg. Manfred Schütze was four years old. His father had been killed in the war. His mother, with his grandparents, and his mother’s sister, also a widow, and her two little girls, were forced to evacuate their village with only 30 minutes’ notice. They grabbed what they could and headed west. Manfred and his mother pulled and pushed a small cart. At times, the ailing grandfather rode in the cart. One Polish officer looked at the pathetic little Manfred and began to weep. At the border, soldiers ransacked their belongings and threw their bedding into the river. Manfred and his mother were then separated from the family. His mother wondered if they might have gone to Bernburg, where her grandmother was born, perhaps to relatives there. After weeks of unbelievable suffering, they arrived in Bernburg and found the family. They wrapped the body in a paper bag for burial. On the way from the grave, the grandfather talked of taking their own lives, as many others had done. Just then they saw the placard that Elder Schreiter had posted on the building﻿—“Is there further life after death?”﻿—with an invitation from The Church of Jesus Christ of Latter-day Saints. At a meeting, they learned of the Book of Mormon: Another Testament of Jesus Christ. And many other jewels that make up the fulness of the gospel of Jesus Christ. Then help came from the Church in the United States. Manfred grew up eating grain out of little sacks with a picture of a beehive on them and peaches from California. He wore clothes from the welfare supplies of the Church. Soon after I was released from the air force, I went to the welfare mill at Kaysville, Utah, to help fill bags of wheat for shipment to the starving people in Europe. I like to think one of the bags of grain that I filled myself went to Manfred Schütze and his mother. If not, it went to others in equal need. Elder Dieter Uchtdorf, who sits with us on the stand today as one of the Seventy, remembers to this very day the smell of the grain and the feel of it in his little-boy hands. Perhaps one of the bags I filled reached his family. When I was about 10, I made my first attempt to read the Book of Mormon. The first part was easy-flowing New Testament language. Then I came to the writings of the Old Testament prophet Isaiah. I could not understand them; I found them difficult to read. I laid the book aside. I made other attempts to read the Book of Mormon. I did not read it all until I was on a troop ship with other bomber crew members, headed for the war in the Pacific. I determined that I would read the Book of Mormon and find out for myself whether it is true or not. Carefully I read and reread the book. I tested the promise that it contained. That was a life-changing event. After that, I never set the book aside. Many young people have done better than I did. A 15-year-old son of a mission president attended high school with very few members of the Church. He could not answer it either way, so being a clever teenager, he rewrote the question. He crossed out the word alleged and replaced the word wrote with translated. It then read, “Joseph Smith, the Mormon prophet, translated the Book of Mormon.” He marked it true and handed it in. In England, my wife and I became acquainted with Dorothy James, the widow of a clergyman who lived at the Close of Winchester Cathedral. She brought out a family Bible which was lost for many years. Years before, the possessions of a family member had been sold. The new owner found the Bible in a small desk that had remained unopened for over 20 years. There were also some letters written by a child named Beaumont James. He was able to find the James family and return the long-lost family Bible. In a world ever more dangerous than the world of little Manfred Schütze and Dieter Uchtdorf, the Book of Mormon: Another Testament of Jesus Christ has the nourishing power to heal starving spirits of the world. Manfred Schütze is now a member of the Third Quorum of Seventy and supervises our seminaries in Eastern Europe. His mother, now 88, still attends the temple at Freiberg where Herbert Schreiter once served as a counselor to the president. With Elder Walter F. González, a new member of the Seventy from Uruguay, I attended a conference in Moroni, Utah, a town with a Book of Mormon name. There is no doctor or dentist in Moroni. They must leave town to shop for groceries. Their students are bused to a consolidated high school across the valley. Again in English: I know the gospel is true and that Jesus is the Christ. I love this Book of Mormon: Another Testament of Jesus Christ. Study it and one can understand both the Old Testament and the New Testament in the Bible. I know it is true. And that, I assure you, is exactly what we do. In the name of Jesus Christ, amen. See Ex. 28:30; Lev. 8:8; Num. 27:21; Deut. 33:8; 1 Sam. 28:6; Ezra 2:63; Neh. 7:65. See 2 Ne. 2:21; 2 Ne. 33:9; Alma 12:24; Alma 34:32; Alma 42:4. See 2 Ne. 9:3–7; Mosiah 16:8; 3 Ne. 11. See Alma 34:34; Alma 40:11–14, 21. See 2 Ne. 9:12; Alma 40:23; Alma 41:2; 3 Ne. 11:1–16. See Mosiah 4:1–3, 12, 26; Alma 4:14. See Alma 34:15–16; Alma 41:14; Alma 42:15–16, 22–25. See 2 Ne. 4:35; 2 Ne. 32:8–9; Enos 1:9; Alma 13:28; Alma 34:17–27; Alma 37:36–37; 3 Ne. 18:19–21; Moro. 7:26. See 2 Ne. 6:2; Mosiah 18:18; Alma 6:1; Alma 13; 3 Ne. 11:21; 3 Ne. 18:37; Moro. 2:2; Moro. 3:4. See 2 Ne. 11:5; Mosiah 5:5; Mosiah 18:13; Alma 13:8, 16. See 2 Ne. 32:2–3; Omni 1:25; Moro. 7:25, 37. See 1 Ne. 16:9; 1 Ne. 17:44–45; Enos 1:10; Alma 32:23; Hel. 5:30; 3 Ne. 11:3. See 1 Ne. 11:13–33; 2 Ne. 2:6–10; Mosiah 3:5–12; Alma 7:7–13; 3 Ne. 27:13–16. See George D. Durrant, “Helping Your Children Be Missionaries,” Ensign, Oct. 1977, 67. As quoted in Donna Smith Packer, On Footings from the Past: The Packers in England (1988), 329. The Book of Mormon (1830), 105; see also 2 Ne. 25:26.